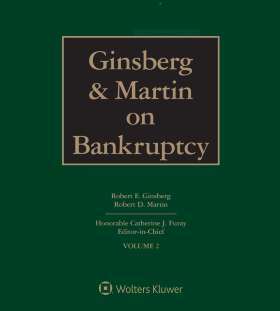 The continued rise in bankruptcy filings, in combination with the ongoing effects of the Bankruptcy Abuse Prevention and Consumer Protection Act, makes Ginsberg and Martin on Bankruptcy, Fifth Edition, an invaluable three-volume resource for every attorney handling bankruptcy issues. Analyses of all key bankruptcy issues from both debtor and creditor perspectives. Complete coverage of Chapter 15 of the Bankruptcy Code, (Cross-Border Insolvency).